You stay in beautiful medieval towns: Assisi 'the town of St Francis' with its UNESCO-listed basilica; pretty Spello, which lies on the other side of Mount Subasio from Assisi; Trevi, standing on its hill overlooking the plains of Campello; Poreta, a tiny village with a restored hilltop castle and church, and finishing in Spoleto - the town of the amphitheatre and aqueduct. Climb up Monte Subasio to the Hermitage of Asissi. Traversing a trail along the mountain you get unforgettable views of the Vale of Spoleto, before heading down into delightful Spello and your hotel for two nights. Pink-stoned Spello is a well-preserved Roman town, with beautiful town walls, ruins of the old theatre and amphitheatre and thermal baths. Visit the church of Santa Maria Maggiore with its outstanding frescoes by Pinturicchio, the town's art gallery, annexed to the church, and the Palazzo Comunale Vecchio (Old Town Hall). Or perhaps take the train to Perugia the region's capital. 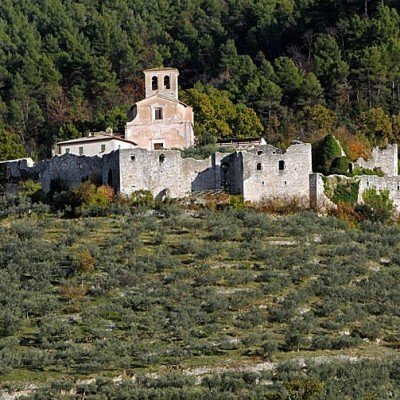 A short transfer this morning - Then follow the Sentiero degli Ulivi - the Olive Grove Trail - that connects Spoleto to Assisi. Spend time at the beautifully-restored cloistered Abbey of Santa Croce di Sassovivo and continue through woodland and olive groves to the hilltop village of Roviglieto - the highest settlement on the trail at 700m. Descend to Trevi for a picture-postcard view of this Roman gem on the slopes of Monte Serano. You'll stay here for two nights, and enjoy dinner (included) under the church tower in the atmospheric Piazza della Rocca. Hotel Fontebella features a period, Renaissance style throughout the establishment and enjoys an exquisite view of a beautiful Umbrian valley. Free Wi-Fi is available throughout. Hot tubs and sauna available. You can choose different kinds of views, over the Umbrian Valley or over Assisi city centre. Buffet breakfast is served in the Sala degli Archi, decorated with beautiful brick arches, perfectly preserved throughout the centuries. 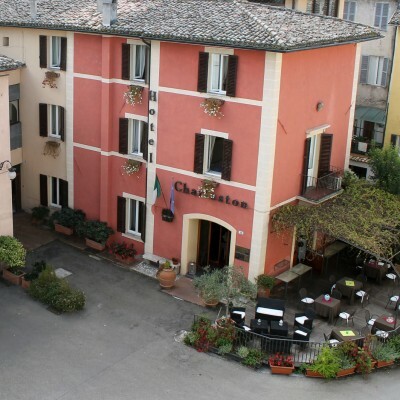 On site you will find Restaurant Il Frantoio, which is mentioned in the Michelin guide. It has over 300 wines in its cellar and specialises in truffle dishes and homemade pasta. Room upgrades: Superior room with valley view. 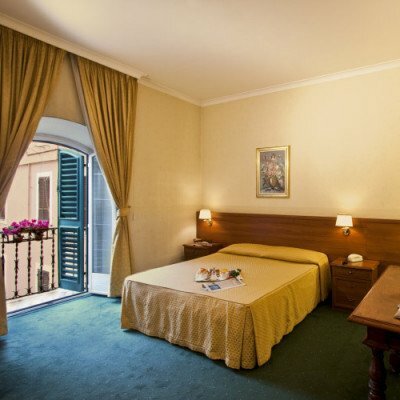 Superior rooms offer more space and a view of the Umbrian Valley. The Umbrian countryside was beautiful, walking through it well worth the effort (the hike was challenging, particularly given my age and the rather woeful state of my knees). I would strongly recommend doing this walk in the fall (mid-Sept to Oct.) when the temperature is moderate and the days likely to be sunny, as they were every day of the walk. On arriving in our first hotel in Spello the views from our bedroom window took our breathe away. The whole Holiday was full of wonderful views, great food,and lovely accommodation. This alongside some challenging walks which made us feel alive and happy to be in such an unspoilt place like Umbria. Definitely recommend this walking holiday in the Footsteps of Saint Francis of Assisi. The walks were well described and excellently waymarked, though we thought that certain sections were 2 boot+ especially with high humidity in hot weather. This is true of the continuous climb out of Spello on the high level route to Assisi, and the ascent to the Rifugio on the last day,which is ludicrously timed in the walk notes at 45 minutes. The CAI estimate is 70 and we did it in 80. 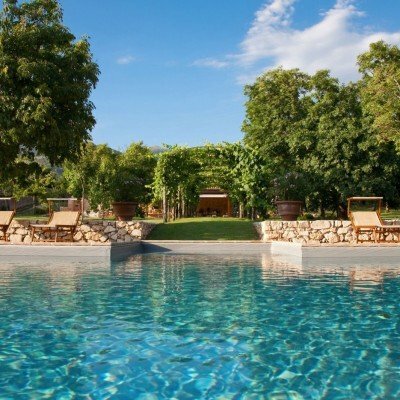 The accommodation in Assisi is out of town but this allows for a truly super pool. Sadly the Tavola may not survive as the need for small investment was clear but not forthcoming. Victor and Filippo are lovely and super helpful but 3 power cuts in one day could have been avoided by investing in a small back-up generator. Also there are only the two of them - we heard that the day we left Filippo was stung on the mouth by a hornet - which meant no chef. It is worth noting also that without a car you are stuck at La Tavola with nothing to do if it rains - and boy can it rain! La Bastiglia and Le Silve are great, the latter is out of this world for views and food. We would seriously recommend an extra day at the start of the holiday to acclimatise and also to spend a day in Spello which is spectacularly beautiful and otherwise largely missed on the normal schedule. We fell in love with Umbria, which is Italy as you really don't expect - green, lush and verdant. The craft beers are superb - who knew the Italians were so into it. One range called Monasterio di San Biagio is brewed by the Agriturismo which runs La Tavola. Finally the Umbrian people were friendly, helpful and endlessly welcoming. I found the walking varied and challenging at times but the outstanding scenery and peace and location of hotels made the effort worth while. An unforgettable experience. We felt the weather played an important part in the conditions we experienced which made the walks more challenging. It is a beautiful area and the second half of the holiday was particularly beautiful and quite isolated. This holiday offers a mixed experience of history, nature and good food and wine. Any problems we encountered were minor and I felt that St Francis must have been a tough guy with his Forbes and sandals! Very enjoyable week in a lovely part of Italy. We found the walks varied and interesting, though more challenging overall than the 2 boot rating - particularly the first and last day's walking, which involved some long and fairly steep ascents and some difficult descents (not just because of the rain - a lot of sustained scrabbling down loose chippings which was very tough on the knees). The walking instructions were overall accurate and easy to follow, though part of one route - from Assissa - was closed, and obviously had been for some time (we were not told about this before setting off) and on the final day at several points on the walk to Spello we got briefly lost due to the lack of clarity in the instructions. The hotels varied - Le Silve was oustanding in terms of location, accomodation, food and service, with La Tavola not far behind. Le Terazza is a bit far out of town - we would have liked to have stayed in Assissi - but we found the restaurant, food and service there fine. The food (particularly for vegetarians) and service at La Bastiglia was poor - fortunately when we returned to spend an extra night in Spello the restaurant was closed so were were booked into another much better restaurant - 'The Wine Drinker'. Late May is a good time to walk in Umbria, lots of wild flowers and new growth and not too hot. we had a great time and thoroughly enjoyed ourselves though the level of the first walk (the longer route) seemed to be harder tan 2 boots especially given the temperature. In view of the steep ascents/descents on parts of this walk it might be helpful to suggest sticks as essential. We spent 4 nights in total at the hotel in Spello and for 2 of those nights we were unhappy with one of the beds which was a sofa bed and not really suitable for an adult. We were very tired on our first night so put up with it but when we asked for this to be changed on our return there were no staff able to change the bedding until the following day. This wasn't satisfactory. Two of the nights we spent at this hotel were on wednesdays which meant we ate at a different restaurant; this may have been just as well as the menu(which was short) didn't alter on the 2 nights we ate there. Beautiful area with well chosen hotels that have excellent cuisine and wines. The Italian signposting system for footpaths is not consistently good, so walkers need to be alert. A fantastic holiday in a beautiful area of Italy. So great to look forward to a refreshing swim in the hotel pool at the end of each day's walking, and feeling we have earned our glass of Prosecco and delicious meal. Always lovely to receive a warm welcome at the hotels and find our room and luggage ready and waiting for us. Walking in the Footsteps of St Francis was a gem of a walking holiday and we felt thoroughly refreshed by it . The walking was well paced and the guide notes excellent. The National Park was stunning with a variety of scenery and the two places we stayed in the park were absolutely gorgeous. Assisi was also a lovely city to visit. It was our first time holidaying with Headwater and we are already planning our next. This was our first holiday with Headwater having previously used other well-known leading walking tours companies. The hotels were excellent the only slight downside was the Assisi hotel La Terraza where it was a 1Km outside of the town, the food there was good but certainly not up to the same standards as the other 3 hotels. La Tavola dei Cavali at Satriano was an absolute delight it was welcoming, peaceful and gave us a most relaxing stay. the only noise was the sound of bees and birds. La Bastiglia at Spello our hotel for the start and finish nights met the same standard as the previous two hotels with wonderful views from the Terrace. It is an excellent format - two nights in each place is just right and the distances and terrain were sufficiently challenging for us to feel we deserved the increasingly good food as we progressed through the walk. Walking around Assisi there is great countryside with wonderful views in a very quiet area. Eating a picnic at about 1000m at Refugio Maddonna della Spella with great views all around was a wonderful reward for the strenuous walk to get there. We had a wonderful week away, we enjoyed being able to sightsee in Assisi and then to escape into the beautiful countryside where we saw hardly any walkers and few cars. We thought that the 2 boot grading was accurate, there were some uphills that made us feel that we had deserved our dinner - there were only a couple of stretches of steepish downhill. This was our first self guided walking holiday and we found the notes and map provided excellent - we were glad that we took our rep's advice of an alternative route on the last day - going to Collapino and having lunch at the Taverna di Silvestro and then following the path of the Roman aqueduct back to Spello - a really good end to the walk. The scenery along all of the route was pretty but the last morning was spectacular with a wonderful panoramic view. The hotels were well chosen and we enjoyed the variety between them. La Terraza was not in the same league as the other 3, but the staff were very friendly and whilst the food was not 'gormet' it felt 'honest', we would have preferred to stay right in Assisi but appreciate the appeal of a swimming pool and also delivering suitcases to the middle of Assisi would probably pose a challenge for the Headwater rep. We dined extremely well at our other 3 hotels and particularly enjoyed our stay at Le Silve with its tranquil setting and lovely views. Our top tip for packed lunches is the Bottega dei Sapori in Assisi's main square where our sandwiches were made to order with delicious ingredients from the owner's farm. Our only regret was that we didn't have time to add on a day to the holiday and visit Perugia. A most enjoyable week, blessed with good weather and walking of a well-chosen standard. Good accommodation. This is our fourth Headwater trip. Our favorite trips in order are: 1) Alps 2) Dordogne 3) Amalfi Coast and 4) this one. All of the others have been 5 star plus. I don't even know how to rate this one. There were so many highs and lows that it is hard to average them. 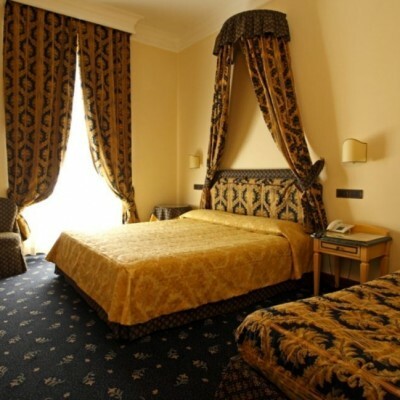 The hotels, Le Silve and Le Case, are spectacular and took care of every need. I can't say enough good about them. The food was exceptional in all hotels except the Assisi hotel where you eat in a nondescript big undecorated basement room. The hiking was perfect and challenging, but the trip notes were unenthusiastic and lacked the usual Headwater info bites and optional side trips - so we made our own side trips. The trip notes need some important updates - we did not get lost, but others did multiple times and their confusion was understandable. We had awesome trip mates that we had not met prior to the trip. The highlights of the trip were: 1) Being in Assisi for the Feast of St. Francis and being present for the parade and seeing the Prime Minister of Italy, 2) Vistas from the Rifuggio de Madonna (they rival what we saw in the Alps), 3) Le Silve and Le Case hotels were amazing places of rest and solitude. I think this trip had the potential of being my very favorite, but needs the kind of attention that Headwater is so great at on other vacations. Wonderful holiday, with fantastic food and wine and one absolutely amazing hotel (Le Silve). Good two boot walking, especially on the first and last days. If you like walking in Italy you will love this holiday. Overall the holiday was as expected, we have been with you before. We do enjoy the holiday. Having said that, the hotel in Assisi was poor, the basement restaurant was soulless. I appreciate that it was probably chosen because it had a swimming pool. 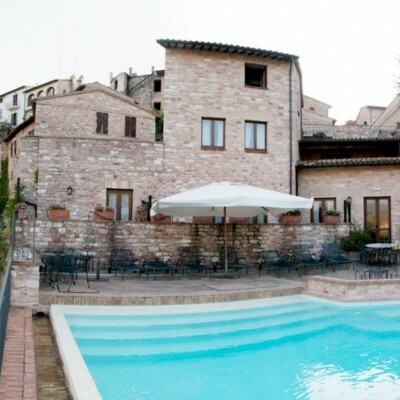 We would rather have stayed in a more upmarket hotel in the centre of Assisi rather than the outskirts with the swimming pool, and our 18 year old is in agreement. We could've looked around Assisi in the evening, and the rest day was spent looking around the churches, so not much time to lie by a pool. A more comfortable hotel with nicer food would've been appreciated! A choice would be nice. The pool at La Tavola was impossible to sit by due to the flies, not sure whether that was due to pigs close by or the earlier summer weather causing an increase in fly population. Ask more questions regarding the walks prior to booking.e.g places to take refreshment. Ensure that you understand the walking levels, as although we were able to complete the walks fairly easily we noticed a number of people having to be transported due to the physical demands. Be prepared for isolation at two of the hotels as they were in remote situations. If you like walking in forests and almost total solitude this is the holiday for you. We hardly met anyone on all walks. Excellent service, tailored to us at very last minute. Wonderful hotels (with exception of the Assissi hotel which was nowhere near the quality of the others).terrific walks. We had fewer rests days which suited us - a days rest on day 2 felt too soon so we didn't and assiss is very very touristy though beautiful. We are already looking at our next holiday with you (and we always travel independetly so that's a big sign of our enjoyment). This was our first holiday with Headwater so we had no expectations on the grade of walk. As it turned out we coped very well, although our first day's walk to Assisi (the longer option) was tough, but we managed! The route notes were generally good, although they do need regular revision, as some signs etc. had been changed or removed. We did not lose our way, but less experienced walkers could have done so. The hotels were all good and some excellent. We particularly loved La Taviola for the way the staff went that extra mile to make us welcome and gave us a packed lunch without us asking for it, although the room we were given could hardly be describe as 'superior'. Our tour guide by his own admission seemed ready for a change. His briefing was perfunctory, but he was kind enough to lend us his walking poles. The walks were well designed - absolutely beautiful wildflowers and we didn't meet a single other traveller. Overall, a splendid holiday with good weather, a fabulous sense of history and pilgrimage plus great accommodation. Mt Subasio is a wonderful area in which to walk and the routes ensure good variety of walking. Spello is a lovely town (and Albergo Bastiglia a comfortable hotel with excellent food) to use as a base for further local travel (e.g. 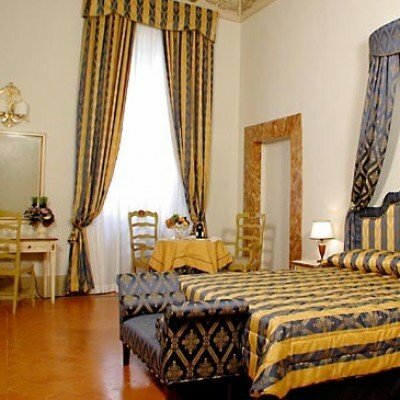 Perugia) and for relaxing pre/post the holiday. The hotel at Assisi was very welcoming, but location is not great (neither in town nor out & on a busy road). Before you book, it would be useful to know the days when meals are not available. For example, at Spello the food is highly rated (an attraction for us) but we had two Wednesdays there, had had to walk the entire length of the town, returning in rain one evening, to get our alternative meal. It was good - but frankly, it is too far. At Assissi, it would be better to make it more clear that while you enjoy a brief tour of the town on the high route, you then have quite a trek out to the hotel. And the food here, is simply poor - but I guess choices are limited. We upgrade everything - and at la Tavola the food was excellent, but our upgrade room (10) was dire - it was not an upgrade! And it is really time to update the notes - we did not get lost, but bits are horrendous - ruts and mud, and things like benches 'from which to contemplate' - but broken down. Our next holiday with you is in Germany - why oh why do you not do more there?? Thank you for taking the time to complete your post-holiday questionnaire and for your constructive comments. Your feedback has been passed on to the programme manager and our local rep. Following on from your comments improvement have been put into place. We now provide a taxi to transfer customers to and from dinner in Spello when required. Unfortunately due to the unusually poor weather over the winter some of the routes were still quite muddy when you travelled out in early May. However this will remedy itself as the weather improves over spring. All route notes have now been checked and are up to date. We would like to apologise that you were given the incorrect room on arrival to the La Tavola the reservation team are sorry for this oversight and have assured us that this was a one off incident. A refund will be issued immediately. We would like to thank you for travelling with Headwater this summer and look forward to welcoming you on another of our holidays in the future. Beautiful vistas of the Heart of Italy are your reward for the few 'lung busters' en route. Umbria is less developed than its neighbours but all the more perfect for it. We had an excellent holiday with everything very well sorted by Headwater. Our only real complaint was with the hotel in Spello who were not helpful. We were tired from travelling and there was no one really to welcome us or to tell us when dinner was served or give us a drink until 20.00hrs when the staff had finished their dinner. Head waiter was rude and off hand after he discovered we were Headwater guests but the food was good. La Tavola and La Silve were wonderful and couldn't have been better, at both hotels we were so well looked after and the food was delicious. We would have liked to have a had a 3rd night at La Silve as there was no room at Spello on our return so we had to go on to Perugia but this wasn't suggested by your agent. Excellent meet and greet, great walking and good food. Excellent combination of choice accommodation; natural scenary for walking and opportunities for cultural visits. We have just returned from a walking holiday in Umbria, having had an amazing experience, which has left us feeling revitalised and relaxed. The walks were all really beautiful and off the beaten track and despite the August heat many of the tracks were through shaded woodland. The notes and maps were clear and easy to follow and the only time we managed to lose our way was through our own misunderstanding. The hotels were in great locations, very welcoming and friendly, comfortable and the food was delicious. Our local rep Javier was always smiling, supportive and helpful. He knows the area like the back of his hand and is always there with interesting information. His motto should be Nothing is too much trouble. An enjoyable trip deep in the Umbrian countryside with some fine local food and wine amidst some spectacular views.If you do decide to go walking in Italy in July and August make sure you start your walks early i.e 8.30 am - take plenty of water 2.5 litres a day at least IMO - adequate sunscreen ,insect repellent as the weather will get very hot from 10-11 am. A wonderful holiday - we wished that it could have been longer, offering more walking days. Our rep (Javier) was particularly good, with an impressive knowledge of the area & checking the routes daily during bad weather. Due to the tailor-made nature of our holidays, we need a little more information in order for us to check availability for Footsteps of St Francis Walk. Simply complete the form below and a member of our sales team will contact you (when it's most convenient for you) to provide availability information, travel options and an accurate price. Of course there's no obligation, but if you do wish to proceed with a booking they will be on-hand to assist you throughout the process.